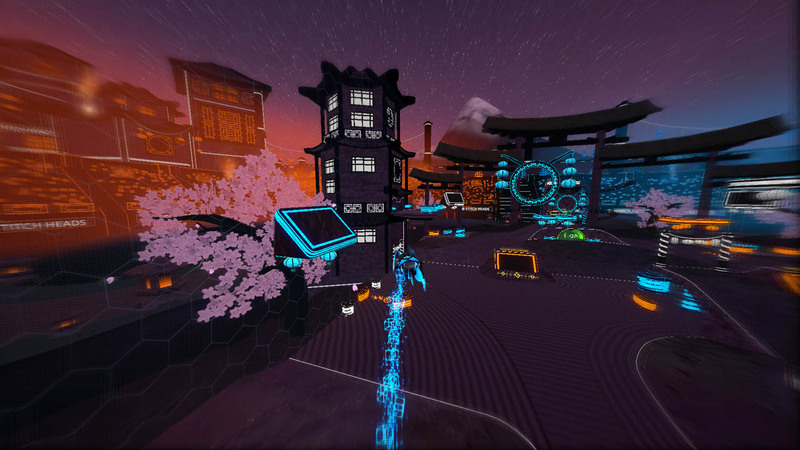 Kabounce is a fun, competitive sports-esque title that celebrates the concept of multiplayer pinball. A few of the current reviews on Steam compare Kabounce to Rocket League, Splatoon, and parkour. A blend of these three sums up this release concisely, but instead of driving a car or splattering paint everywhere and smacking your opponents with hilariously-large paint brushes, you control a pinball in an immersive playing field. With cosmetic customization options in abundance, as well as short, intense matches that keep you on edge, requiring your near unwavering focus, a fan of more wacky sports releases might find this gem splendid. While there aren’t many who play currently (though I see more players in matches each day) and matchmaking isn’t always balanced, it’s still easy to enjoy what Kabounce offers. Training missions offer new tips and tricks to implement into your play style, while challenges help refine your parkour skills. There are only nineteen challenges, but they do differ in difficulty — not to mention they’re timed, so if you want a gold star on each, you might have to repeat them until you have them down pat. The main crux of Kabounce is its matches, whether offline or online. Offline matches permit you to modify specific factors before playing, such as what map you’ll play, how many bots are on each side, and at what level they play. Online matches don’t afford you these options. Instead, the matchmaking system places you into a battle already in progress, with four players on each side; you can start in a fresh match if you stick around after finishing this initial match. In the absence of a human player, a bot fills the slot. Queue times are astonishingly short. Often, I didn’t wait for longer than five seconds to get into a match; the few times I did, a connection failure would show. (Restarting rectified this issue.) On occasion in the first couple of days I played, teams were slightly skewed. A few times when starting a new match online, three human players were on one team, and only one on the opposing team. Of course, there could be some black-box matchmaking algorithm which slots players according to how well they play. I didn’t have any lag issues, though about once a match playing online, the game freezes for a second or two. Your primary goal while playing is to control the field and score points. You rack up points by bouncing off of bumpers, keeping a combo alive (which grants a bonus), and eliminating other pinballs. 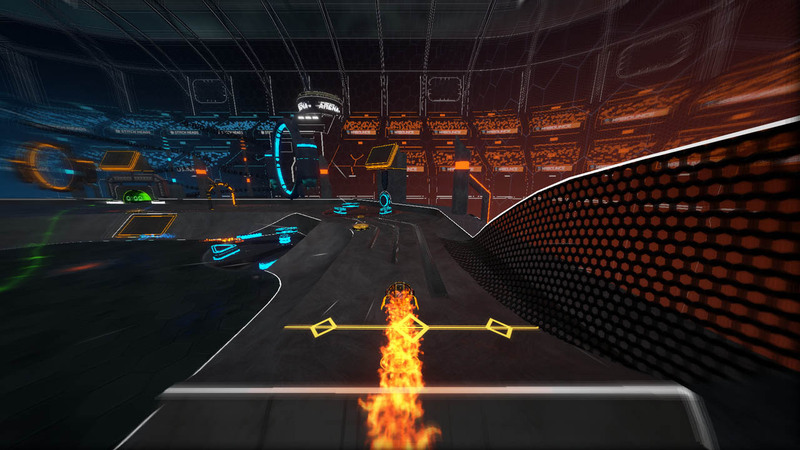 Before beginning a match, you can swap out one of your skills for a shock trap which you may place on bumpers. These immobilize enemies for a few moments who come into contact with them. Eliminating an enemy steals a portion of their points. There’s a warning that displays when an enemy is about to slam you, which can provide you with enough time to dash toward safety. Hoarding a substantial amount of points in your pocket makes you a hot target — there’s a leaderboard with the top three players. You must maintain field control for end-game scoring while also being aware of the locations of your opponents. Despite the parkour aspects found in challenges, opportunities to utilize these skills in matches arise infrequently. Most of the bumpers in the maps are on the main ground and easy to access, while ones on a second story are still easy to reach. There are floating rings spread across the maps sporadically (with some maps featuring more or harder-to-reach ones), but the proportion of these compared to the bumpers on the ground makes it seem that a player should aim for them as a secondary target, merely to bolster field control. These rings provide a speed boost, however, allowing you to reach the other side of the map with relative ease. Improvements could be made by adding more maps (there are a few arenas at the moment), making more of the bumpers harder to reach, challenging players with the task of exercising precise platforming skills, or adding a level-creation tool. For your efforts of playing matches, you gain XP — often a hefty amount. Each time you level your profile, you gain a loot orb which you can crack open to obtain a new pinball or customization item, both of which vary in rarity. Not every accessory works with every pinball, so if you obtained a new item and cannot seem to find it in the Garage, simply equip a different pinball and then look for it. Completing particular achievements might yield a loot ball, or they might offer XP or an item. A select few seem bugged: I unlocked the achievement for twenty-five wins on Steam, while the in-game counterpart registered only twelve wins. Offline wins don’t raise the count in your profile — for me at least — so perhaps twenty-five wins altogether triggers it on the Steam platform. Beside occasional, minor hiccups, Kabounce is delightful. Adding a competitive aspect to pinball makes for an enjoyable experience, even if there are only a few maps. With the addition of more or a level-creation option, this could be a go-to of mine when looking for an online title to play. If you enjoy a solid blend of arcade-esque gameplay and competitiveness, you won’t want to pass this up without giving it a look.